Charles Dickens Primary Awarded Unicef Gold Certificate! 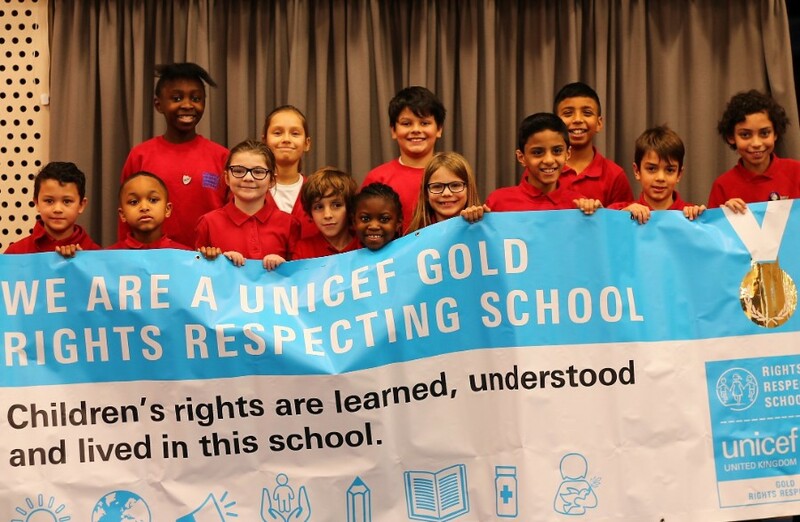 Following on from a recent inspection by international children’s charity Unicef, we are delighted to announce that Charles Dickens Primary school has been awarded a gold certificate for being a children’s rights respecting school! Staff and children at the school have worked incredibly hard to ensure children’s voices are heard, and their opinions considered and implemented. Children at the school are taught their rights as specified by the UN Convention on the Rights of the Child (1989) and play an active role in ensuring these rights are met. A huge well done to everyone involved, especially Mr. Vanson who has led the push for becoming a right respecting school so tirelessly.